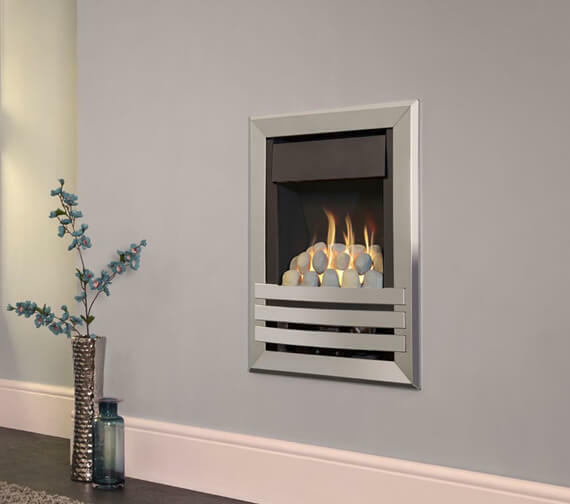 Flavel Windsor Contemporary Plus Wall Inset Gas Fire. 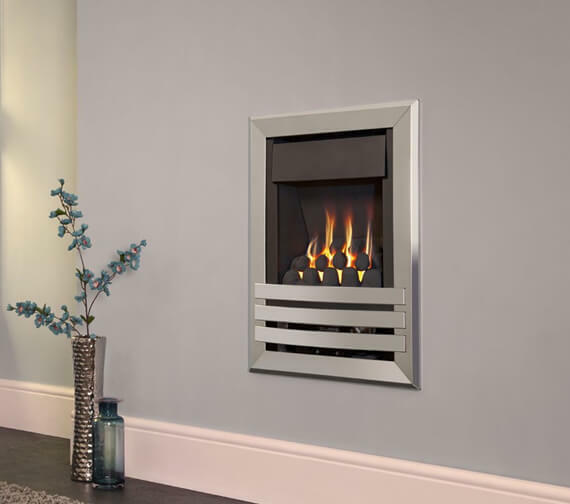 7 years guarantee from Flavel. 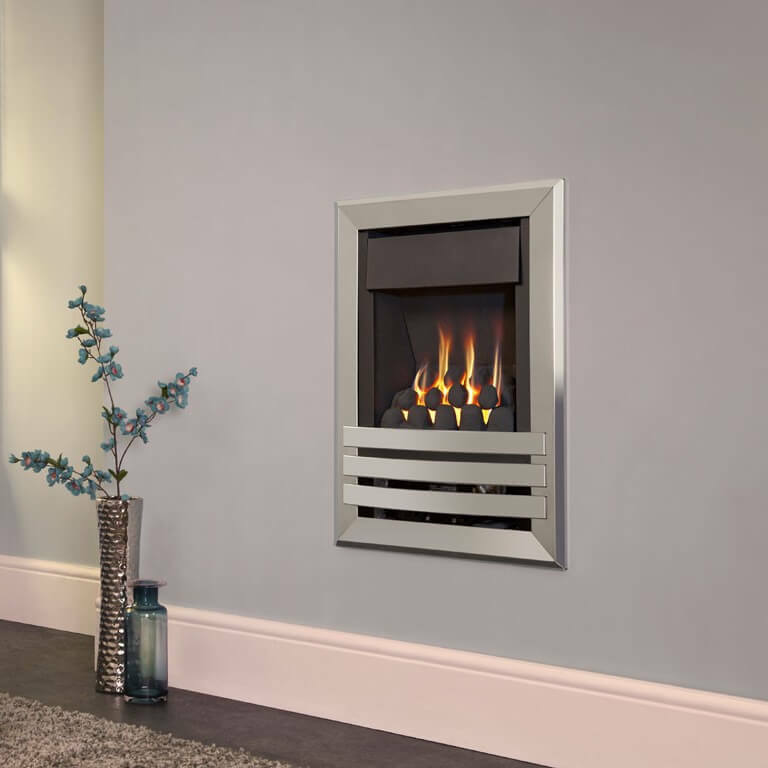 A simple and discreet control system located behind the fire's trim or fret on inset fires and the bottom right side on outsets. 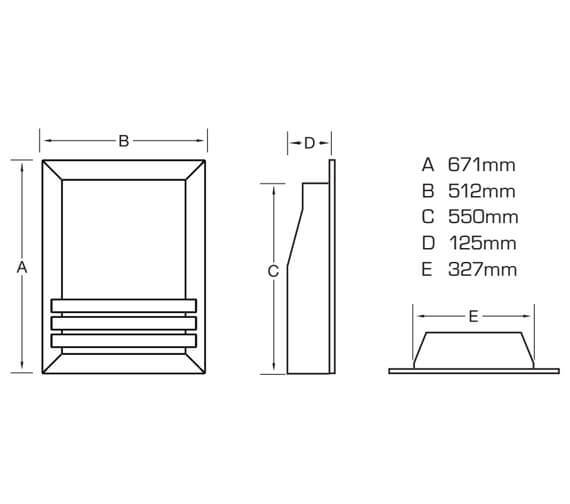 Apart from products designed for “no chimney” applications, all Flavel products will fit brick chimneys.They are easily recognisable by a chimney stack with accompanying terracotta pot or gas terminal. 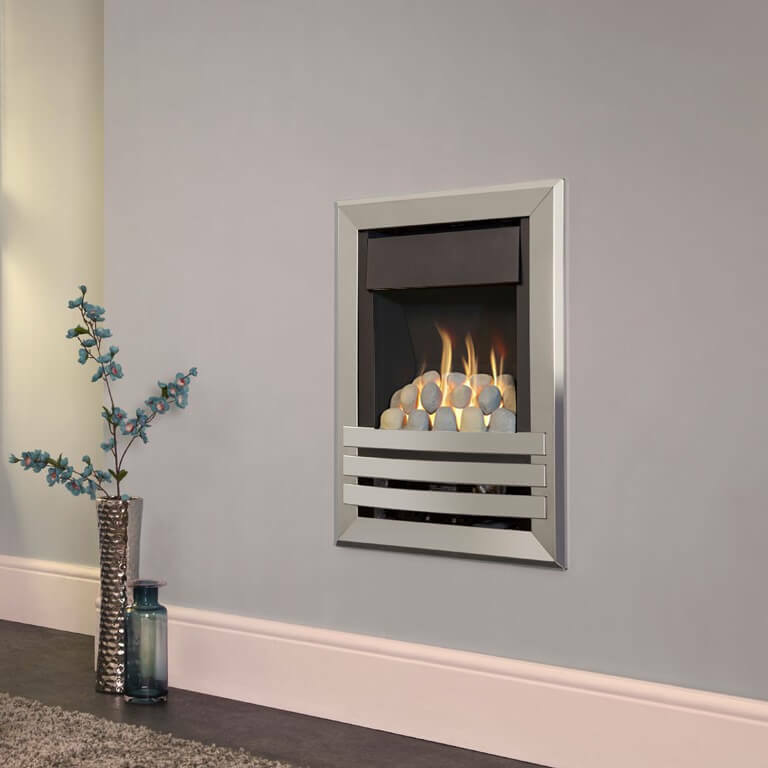 Pre-fabricated flues are easily identifiable by a metal flue and terminal on the roof and a metal flue box behind the fire. Pre-cast flues can be identified by a ridge vent or metal flue tube and terminal on the roof. 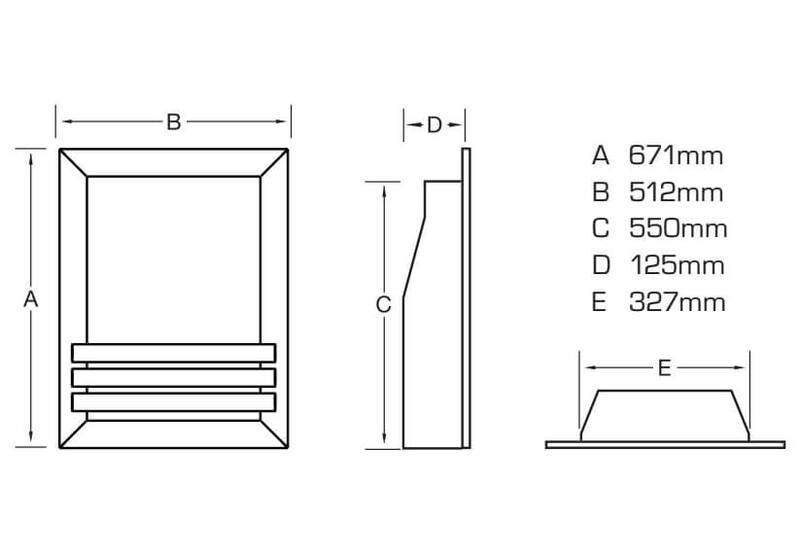 Constructed from concrete or clay blocks they form a rectangular section flue. All Flavel fires featuring this icon are only suitable for Pre-Cast flues conforming to BS EN 1858.